Enter your email address, and you have subscribed to Liblady's Blog, then you will receive an email, to let you knowI have add a new post to my blog. Hope you enjoy reading. At Thanksgiving my son asked if I had any of Grandma’s Christmas Cookies Recipes. 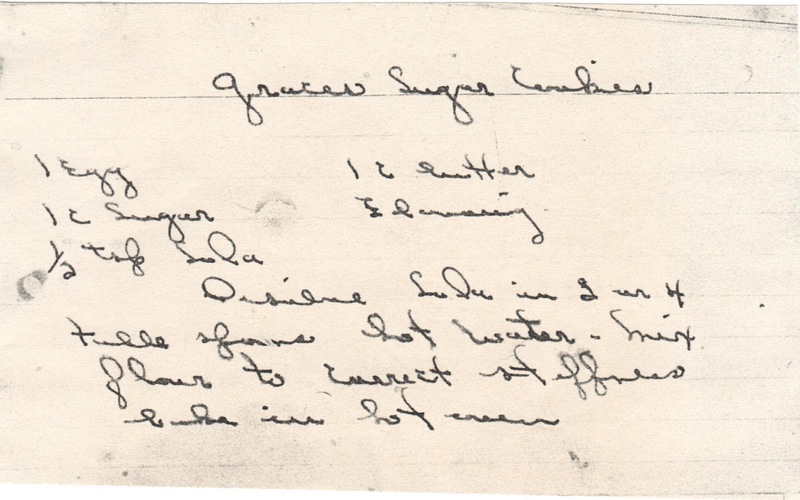 Going through my recipe box I did find one written in her handwriting. As you can see the directions are very sparse. I have looked for a similar recipe to help with the cooking directions. Maggie (Rice) Grossman made these cookies over the years. The boys, her sons and grandsons and granddaughter enjoyed them over the years.